The designer brand unveiled the 17-year-old model and It girl as the face of the new Helia bag and Raine sneakers. UO unveiled a spring-ready lookbook full of brilliant images by Quil Lemons to showcase the new season's ensembles. In timing with Minnie and Mickey's 90th birthday celebration this November, New Zealand fashion designer Karen Walker has created a capsule range of fun pieces. Star models like Adwoa Aboah, Kendall Jenner, Bella and Gigi Hadid, Dilone, Kaia Gerber, and many more walked the Fendi MFW runway in the label's latest logo-printed sportswear. YouTuber and social media influencer Alissa Violet has officially debuted her own range of summer-perfect accessories – and they bring your favorite Instagram trends to life. 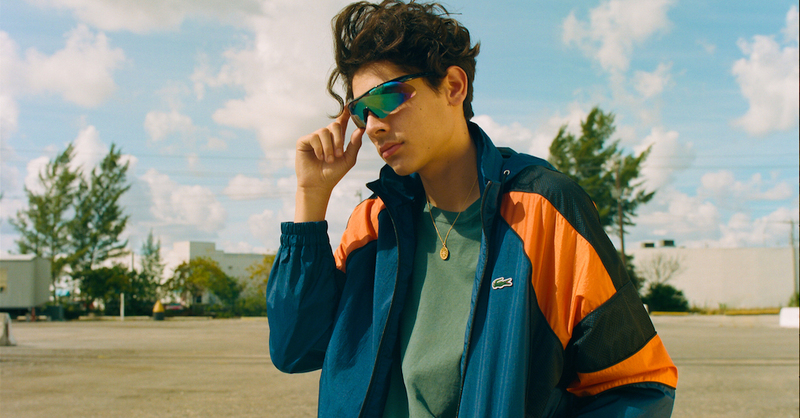 One of our favorite ways to dress up a simple jeans-and-t-shirt outfit or go all out with a straight-from-the-runway style is through one of 2018's biggest eyewear trends: futuristic sunglasses. The Calvin Klein 205W39NYC Fall 2018 campaign is all about playing with proportions. The designer label's most noteworthy fashions and accessories are taken to new heights for the season's captivating and artistic new photo series. The Prada Pre-Fall 2018 campaign is titled Summer Illusions, and it is a stunning tribute to those beautifully romanticized final days of the sunny summer season. This creative and futuristic line is filled with eye-catching street style-approved pieces. The luxury brand experimented with sheer fabrics and oversized silhouettes to a stunning effect.